Web Time Sheet is rapidly becoming a norm to use in any modern day industry. With hundreds of employees working across multiple projects it’s very difficult to keep track of their activities and to bill your clients accurately. In-fact it’s an overhead to a company. Cogniz Time Manager (CTM) is a very useful tool also for the agencies dealing in human resource management, IT consultancy, recruitment. 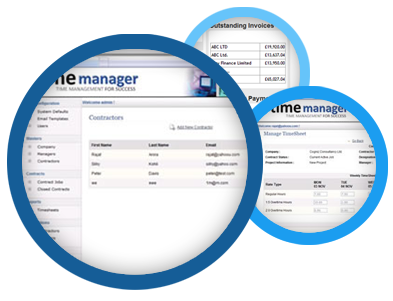 CTM is a technical aid helping agencies to improve upon their quality of work and keeping their day to day tasks, like billing, transparent with their clients’ thus maintaining long term relationships and taking their businesses to new heights.